I have extremely dry and dehydrated skin as I am sure if you're a regular reader of my blog you'll know, having a skincare routine is paramount as other wise my skin would look and feel awful, and being a blogger means I am lucky that I get to try a lot of different products and brands and although I keep my skincare routine the same in terms of products, the brands can often change. One thing I always use in my skincare routine is an acid toner and as a rule I have used the Pixi Glow Tonic for almost 5 years now morning and evening, but because I am asked to try new products for review I have tried other glycolic toners and I have also tried some on recommendation too. Around 6 months ago I tried the Superdrug Naturally Radiant Glycolic Acid Daily Cleansing Pads after my lovely friend Gemma recommended that I try them, Gemma and I always like similar products and it's pretty much a given that if she likes something, I will too and this was certainly the case with the glycolic cleansing pads. 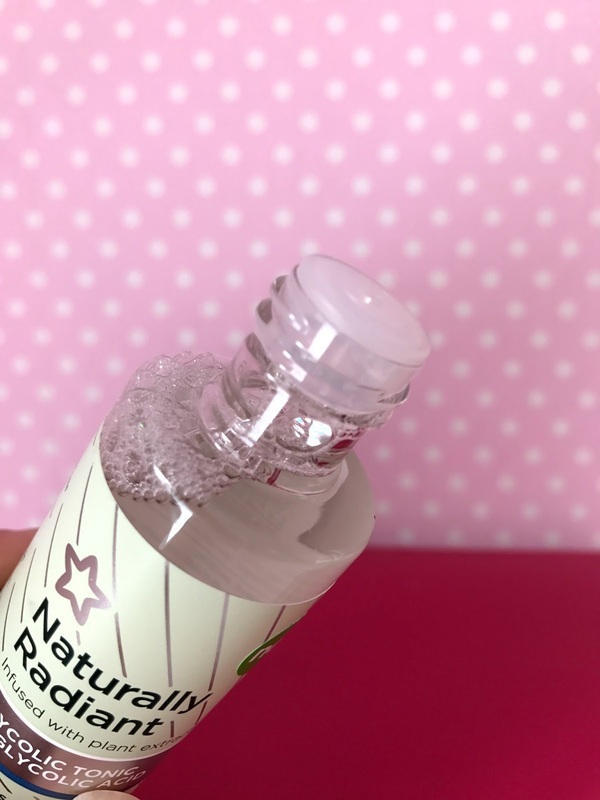 After liking the cleansing pads I saw the Naturally Radiant Glycolic Toner when placing a Superdrug order and decided since it was on a buy one get one free offer, I would give it a go. 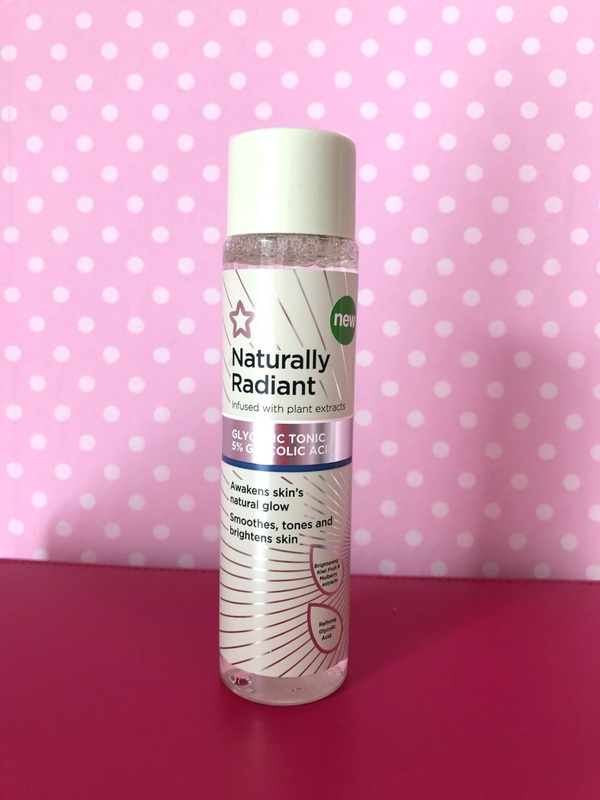 The Superdrug Naturally Radiant Glycolic Toner comes in a 100ml size bottle and is priced at £5.99 100ml and is currently buy one get one free, so much cheaper than the Pixi Glow Tonic which is priced at £10.00 for a 100 ml bottle plus delivery. The toner has a screw top lid and pours out easily without too much running out. I apply the toner to a cotton pad and sweep over my face morning and evening. The toner doesn't particularly have a scent I could describe but it isn't over powering or off putting. "Naturally Radiant Glycolic Tonic is formulated with a unique energising complex and infused with Kiwi Fruit and Mulberry extracts to help revive skin’s radiance and even out skin tone. Highly concentrated in Glycolic Acid, a powerful Alpha Hydroxy Acid (AHA), the refreshing tonic also refines pores, retexturises the skin’s surface and smoothes fine lines, providing a brighter, healthier and more youthful complexion"
I have been using the glycolic toner twice a day now for some time now and I really like it, it smoothes the skin removing dead skin cells and helps my extremely dry and dehydrated skin look smooth and bright. It is a brilliant product and something I would definitely recommend, especially if like me, you like to use an acid toner as part of your skin care routine or if you haven't tried an acid toner but would like to, it's an affordable way of trying one out. I find the Superdrug Glycolic Toner works really well with my skin and the results are brilliant, it works just as well for me as the Pixi Glow if not better and I have already re purchased it since writing this post. If like me you like the Pixi Glow Tonic, or if it's something you have wanted to try but find it too expensive, I would definitely give the Superdrug Glycolic Toner a try, it is a brilliant alternative to the Pixi and in my opinion, better, and a lot more affordable too. 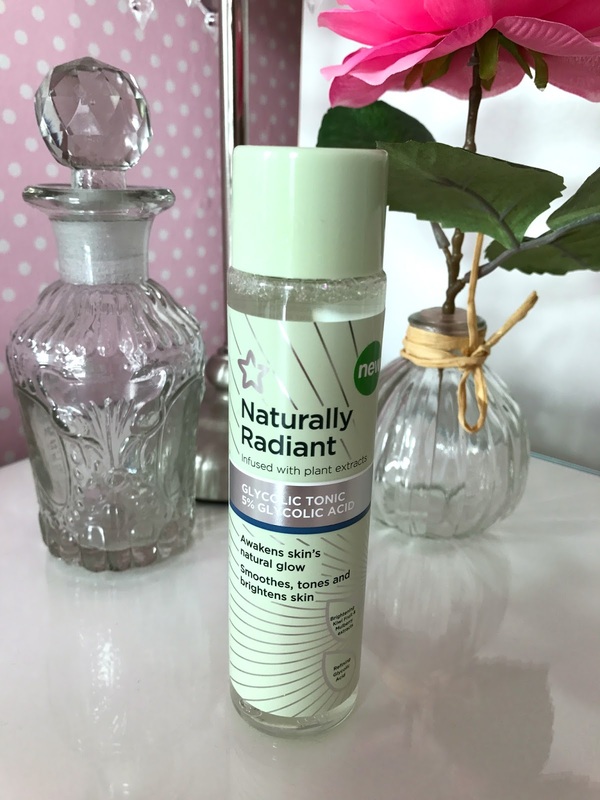 If you would like to try the Superdrug Naturally Radiant Glycolic Toner, you can find it on the Superdrug website priced at £5.99 100ml and at the moment it is on a buy one, get one free promotion so you will get 2 bottles for £5.99 which is a brilliant offer, I will be stocking up too. Have you tried the Superdrug Glycolic Toner? Do you use acid toners? Let me know in the comments below.